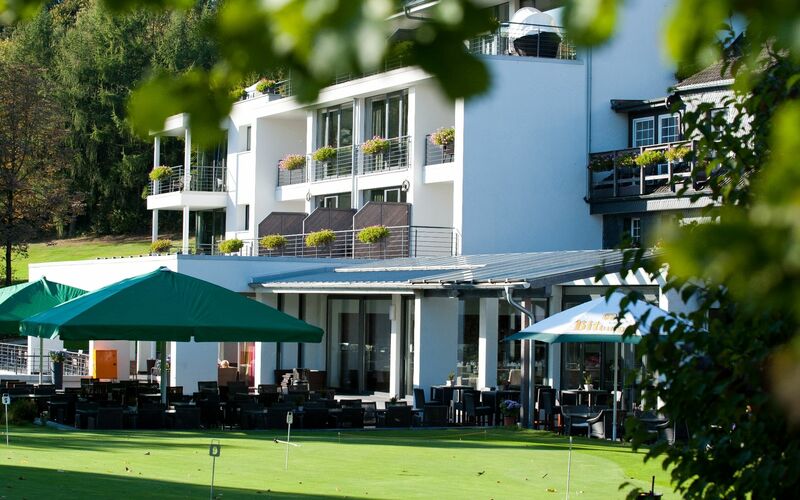 Enjoy the tranquillity and green environment around our hotel, which is located in the middle of our 45-hole golf course. 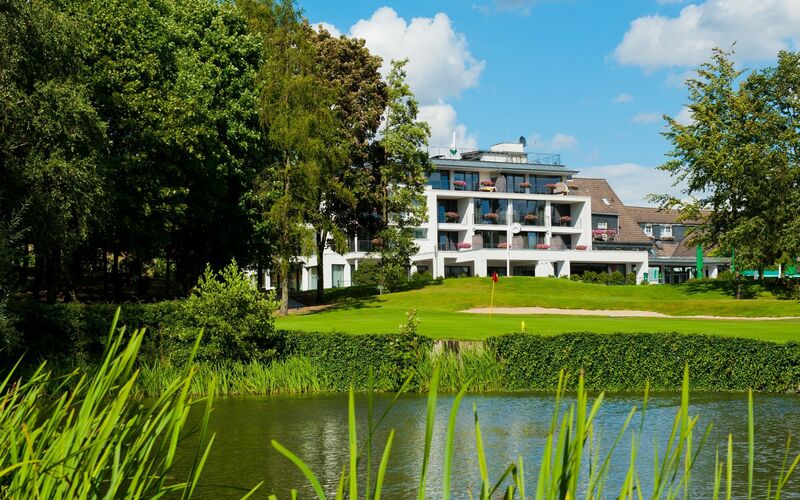 Our 70 modern, elegant rooms & suites, our six conference rooms for up to 440 people and our three á la carte restaurants provide the perfect location for your corporate event in the countryside or your private stay for relaxation. 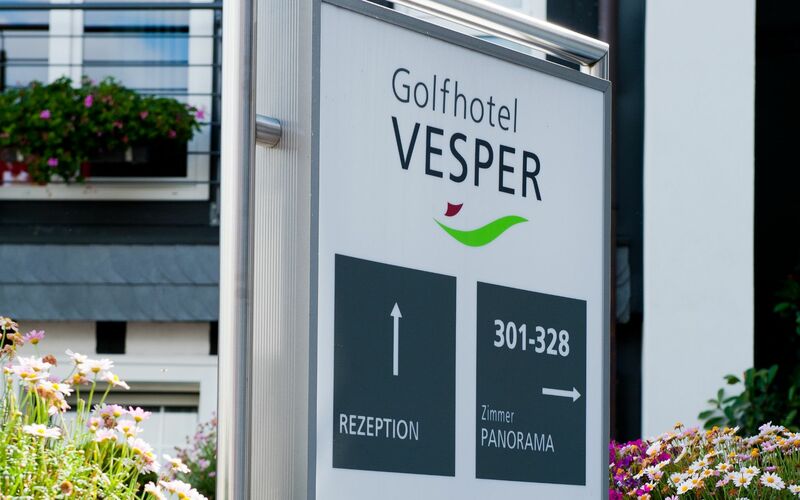 The outstanding connection to the A46, A43 and A1 motorways additionally distinguishes Golfhotel Vesper’s location. Our entire hotel facility featuring our own hiking paths is embedded in the magnificent Felderbachtal, adjacent to a nature reserve. We rearrange the golf courses and their environment over and over again with numerous water hazards and new plantings. Views of beautiful floral arrangements will spoil you in the flowering time. Here you will find the right spot to tee off, rest, work and relax. You will feel at home from the very first moment in our familiar and personal atmosphere.